The Alliance for Green Heat is sharing its draft summary comments with all stakeholders to promote transparency and conversation and to solicit input on how we can improve our comments. We also urge stakeholders to consider incorporating the points that you agree with, into your comments. Please feel free to leave input or suggestions for the Alliance on this blog or if you want them to remain private, send to john@forgreenheat.org. Comments must be sent to the EPA by Monday, May 5. Our final comments are now available here. The Alliance for Green Heat (Alliance), appreciates the opportunity to comment on EPA’s proposed New Source Performance Standards (NSPS) for wood heating devices. The Alliance is an independent non-profit organization that works with environmental and forestry organizations, air quality experts, the wood and pellet stove industry, and others in the wood burning community to promote high-efficiency wood combustion as a low-carbon, sustainable, local and affordable heating solution. The Clean Air Act requires EPA to review and revise, if appropriate, the NSPS at least every eight years. The Alliance strongly supports EPA’s decision to update the standards for wood stoves and to require a number of previously unregulated wood heating devices to reduce their emissions. We also believe that the new standards, which reflect significant improvements in wood heating technology, are both appropriate and long-overdue. We have several suggestions for improving the proposed NSPS, which we outline below. First, it is important to recognize that wood heating is renewable heating and should be acknowledged as such by EPA. · Second, the Alliance strongly supports EPA’s decision to issue revised performance standards for wood stoves and other wood and pellet heating appliances. o The Alliance supports a nine-month sell through for certified stoves that emit higher than Step One emission standards and a 2-year sell through for boilers or furnaces that are EN303-5 certified or EPA qualified. o In the next NSPS, the Alliance urges the EPA to regulate uncertified, pre-1988 stoves as new sources if they are installed in a new location. Doing so will help to hasten the removal of the oldest, most polluting stoves from our airsheds. o In the next NSPS, the Alliance also urges EPA to regulate fireplaces. o Data from currently certified stoves appear to justify a more technology-forcing, lower Step One performance standard for wood stoves. o Pellet stoves are clearly capable of meeting a lower limit for Step One. The majority of pellet stoves certified by EPA are already emitting less than 2.5 grams per hour (g/hr). o Forced air furnaces could achieve a Step One emission limit of .48 pounds per million BTUs (lbs/MMBTU), instead of the proposed .93 lbs/MMBTU. A .48 standard corresponds to the pounds/MMBTU of a typical Washington approved wood stove. o In addition, although we believe a .06 lbs/MMBTU Step Two standard for pellet boilers is justifiable, this limit may not be appropriate for cord wood boilers, depending on the test method. · Fourth, the Alliance strongly supports a shorter, five-year implementation period for the NSPS. This deadline is both achievable and reasonable given the state of wood heating technology today. · Fifth, the Alliance believes that credible testing and enforcement are essential components of any New Source Performance Standard under the Clean Air Act (CAA). o The Alliance supports the proposed transition to cord wood testing, and calls on EPA to expand its cord wood testing program to obtain additional information on the performance of existing wood stove models using cord wood prior to promulgation of the final rule. Alternatively, we urge the EPA to commit to re-examining the achievability of the Step Two standards for stoves that must be certified on cord wood before those standards become effective. 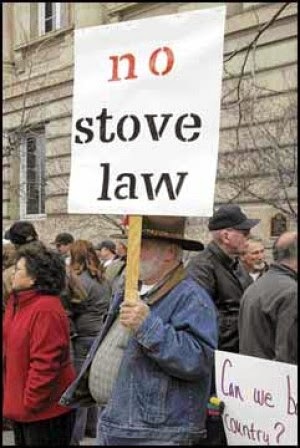 o The Alliance urges EPA to establish a clearer path to certification for advanced technologies like automated stoves. The Alliance is also encouraged by ClearStak’s comments and urges EPA to consider some of the forward-thinking ideas put forth in those comments. o The Alliance supports EPA’s proposal to delegate some oversight and enforcement authority to the states, and urges EPA to improve the capacity of the Office of Enforcement and Compliance Assurance (OECA) to help ensure that state enforcement programs are effective and that manufacturers and retailers comply with the NSPS. · Sixth and finally, the Alliance believes that mandatory efficiency standards are needed. Greater efficiency is particularly import to low-income wood stove users because it can lower their heating bills by requiring less fuel to heat their homes. Nevertheless, the Alliance supports EPA’s decision to gather more data on wood stove efficiency, with the understanding that future NSPS would set mandatory efficiency standards. o The Alliance strongly supports a requirement to post B415.1 HHV efficiency numbers on all wood heating appliances on the market within six months of the rule’s promulgation. Models that are EN 303-5 certified or qualified by an EPA voluntary program should be allowed to use HHV numbers until they become EPA certified. o The Alliance opposes the elimination of the hangtag requirement and urges EPA to consider additional consumer information resources such as a Green Label and state incentives for changing out old stoves and installing the most efficient new stoves. o The Alliance agrees that both particulate matter (PM) and carbon monoxide (CO) emissions data, as well as efficiency data, should not be considered Confidential Business Information (CBI), and urges EPA to make emissions and efficiency data about all four burn rates public on its website. o The Alliance urges EPA to immediately begin requiring manufacturers and labs to scan and electronically submit all paper data submissions, even as the agency works to develop a more streamlined Electronic Reporting Tool (ERT). o Finally, to avoid misleading consumers further, EPA should also remove the “default” emission factor column from its posted list of certified wood stoves, and require manufacturers and retailers to stop using these default factors in their advertising materials. We appreciate your attention to our comments and look forward to working with EPA to successfully implement this important rule. The full text of our comments is below. Standards of Performance for New Residential Wood Heaters, New Residential Hydronic Heaters and Forced-Air Furnaces, and New Residential Masonry Heaters, 79 Fed. Reg. 6,329 (Feb. 3, 2014) [hereinafter “Proposed Rule”]. The deadline for submitting comments on the EPA proposed new wood heater regulations is in one week, on Monday May 5. Listed below are some of the key recommendations that the Alliance believes are necessary to promote cleaner and more efficient wood and pellet heating in the United States. The Alliance welcomes any input about these recommendations prior to the Monday submittal deadline. Here are more extensive comments here for your review and input. • Closing loopholes so that federal emission standards apply to all wood heating appliances – wood and pellet stoves, boilers, furnaces and masonry heaters. • Following the 5-year implementation period, instead of the alternative 8-year period. • Requiring wood stoves to meet a 4.5 gram an hour standard and pellet stoves a 2.5 standard from 2015 to 2020. • Not grandfathering any device that does not meet Step One standards in 2015 and Step Two standards in 2020. • Requiring manufacturers to disclose the efficiency of their heaters within 6 months of finalizing the rule. Access to accurate wood and pellet heater efficiency numbers is particularly important for low-income households. • Requiring a consumer hangtag that includes emissions, efficiency and BTU output as measured by an independent 3rd party test lab. • Strengthening the capacity of OECA (Office of Enforcement and Compliance Assurance) to expeditiously make more testing and other data transparent to the public and to states. • Supporting the EPA to build a database of emission data using cord wood tests prior to finalizing the emission standard for cordwood in the rule. Because this NSPS includes so many variables for both industry and the EPA, the Alliance urges the EPA to defer some regulations until the next NSPS, 8 years from now. This includes regulating fireplaces and treating the installation of pre-1988, uncertified stoves as “new sources” and only allowing the installation of certified stoves made after 1988. 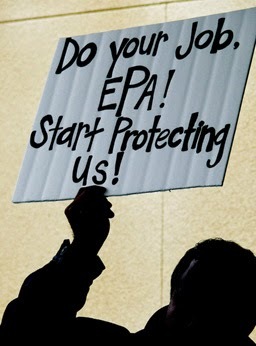 To submit comments to the EPA, click here for details. In April 2014, when the EPA began posting efficiencies for outdoor wood and pellet boilers, there were only 40 units. The average outdoor wood boiler was 63% efficient, and the average pellet boiler was 74% efficient and the most efficient of all was 82% efficient. Since the spring of 2014, the EPA implemented emissions standards for outdoor and indoor boilers, otherwise known as hydronic heaters, and the number of units and their efficiencies have risen dramatically. As of November of 2016, there are 131 certified units and half the list, 61 units, have efficiencies higher than 82%, the highest of any unit in 2014. The rapid rise in efficiencies and lowering of particulate matter emissions is evidence that the new EPA regulations have had significant positive impact on boiler technology. However, the move came at time of low oil and gas prices, and warmer than average winters which has depressed the market for boilers. And, while the prices of many indoor pellet boilers remained stable, the regulations raised the prices of domestic outdoor cord wood boilers that had to be redesigned to meet the new standards. The rapid rise of highly efficient boilers is mainly the result of indoor, imported pellet boilers joining the EPA list. The main industry association representing outdoor wood boilers, HPBA, fought against test methods that would allow indoor boilers and furnaces to be listed here, but efforts from New York state and elsewhere prevailed. The lowest listed efficiency is Marway Welding’s Phase 2 – 200 at 39%. 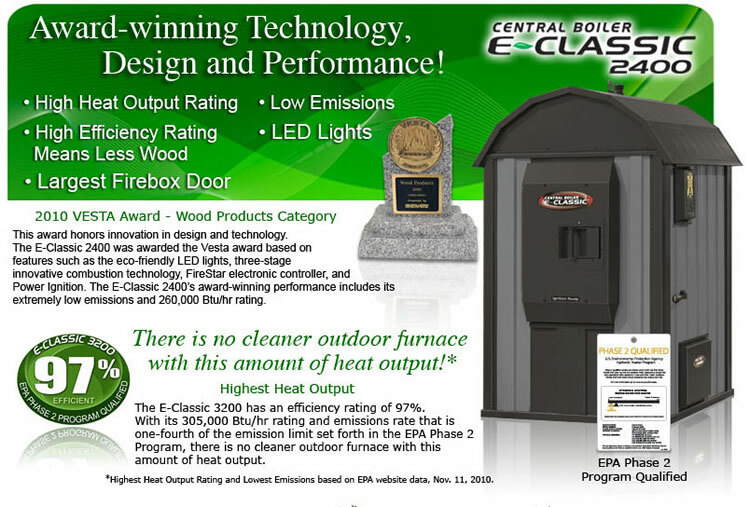 Another outdoor boiler has 47% efficiency. In all, there are 19 units that are 65% efficient or lower. All of the units that are over 80% are pellet units, and of the 19 units at 65% or lower, all but 2 are cordwood. Unlike stoves, where pellet stoves are often less efficient than wood stoves, the generalization that pellet boilers are more efficient than wood ones is true. The posting of these efficiency numbers was welcomed by the Alliance for Green Heat who has long advocated for consumers having access to reliable efficiency data. The listing of reliable efficiencies makes hydronic heaters the first class of wood heating appliances to provide efficiencies to the general public for all of the certified units. It will take years for the public to get reliable efficiencies on most wood and pellet stoves, as most manufacturers have been unwilling to share that information with the public until it is required by law to do so. The saga to provide consumers with such data has taken many twists and turns. In 2011, the EPA removed efficiency numbers from their list for boilers that were in the 90% range after state regulators questioned their accuracy. Industry continued to advertise outrageously high efficiencies, even after the EPA sent letters to the companies asking them to desist. Scott Nichols, who sells European indoor boilers that were previously not part of the EPA voluntary program, is one of few to write about these issues that have faced EPA and the boiler industry. Unregulated outdoor boilers plague many states and provinces and public funds have been used in Vermont and Connecticut to pay people to give up these boilers. The need to retire these boilers is the greatest in Michigan, Minnesota and Wisconsin, but public opinion and legislatures in those states have protected the outdoor boiler industry. The province of British Columbia announced some of the strictest policies, requiring certified outdoor boilers to be set back 40 meters (131 feet) from property lines and then banning the use of uncertified units after 2026 if they are not 80 meters from the property line.